The 55th Annual GRAMMY Awards draws nigh. That famous night that the National Academy of Recording Arts and Sciences put on the most glitzy industry trade show. Though Americana and roots music comes to mind when you think of the GRAMMYs but there have been some great moments if you were paying attention. Here are a few of my favorite GRAMMY moments over the years. Leave your in the comments, I’d love to hear about them. Boston-based folk-pop performer Linda Chorney does the seemingly impossible and snags a 2011 nomination for the GRAMMY for Americana Album of the Year by employing elbow grease, sleepless nights and the Internet. This sets social media tongues wagging and puts PR pros and other music industry gatekeepers on their heels. It appeared to be just a jam between two great roots acts, Mumford & Sons and The Avett Brothers. The ands joined together and the true intension was revealed as they backed Bob Dylan on “Maggie’s Farm” at the 2011 GRAMMYS. 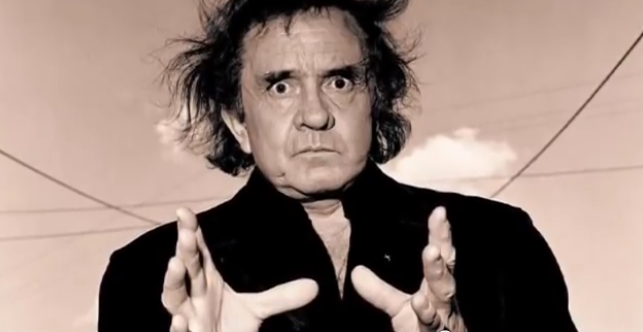 After years of lingering in a career slump Johnny Cash scores the GRAMMY for Best Contemporary Folk Album in 1995 giving the latter part of Cash’s career much deserved attention and a spirit of vitality. Great call Arlene, couldn’t agree more. I’m hoping for a Llewyn Davis feature next year. Dave Van Ronk is gone, but it would be great for Tom Paxton to get deserved recognition! what is the most interesting moment in grammy ?